I was originally under the impression that Big Bad Toy Store, the first to offer pre-orders for the D-Arts Mega Man X action figure, was merely offering the option to import the figure from Japan. However, this isn't the case. 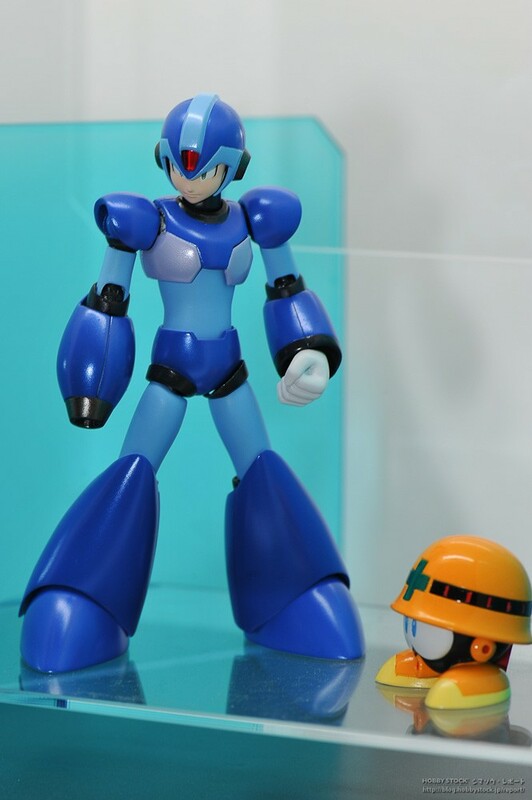 Adam Newman of Bandai's Collector's Toy Department contacted me yesterday to inform me that, like Kotobukiya, the company intends to sell the D-Arts MMX figure within America. Turns out, Big Bad Toy Store is the first of many hobby retailers to offer the American version of the figure, slated to release in May (just one month after the figure's domestic Japanese release). Other comic/hobby/anime specialty retailers associated with Bluefin (Bandai's distributor in the US) will carry the figure around then, too. These stores should be taking pre-orders next week. In short, if you're considering importing the figure, you might want to hold off. You'll be able to score the figure, sans the all-too-often hefty import fees, within the US very soon. thank god. i was almost willing to shell out the import fees. but US version? YES PLEASE! now, here's hoping the zero figure is us bound as well. if not, i call foul. x may be the flagship character for his series, but if i'm not mistaken, and someone correct me if i am, zero is the more popular character. i just hope that it's the zero from X2, and not X1. hopefuly though, this will turn into a series. it'd be nice to have a vile done like this, or a sigma. I wonder if they'd ever extend into some of the Mavericks. They've got some pretty cool designs, too. I'd love to have 64 mavericks and about 20 reiterations of Sigma lining a shelf someday. Still, X is a start to that kind of dream, I guess. Any project that huge would take a lot of time and money. This is incredibly AWESOME news! These are the kinds of figures I wished were coming out back when JazWares was making Mega Man figures. I'm so glad to see that the dream is coming true! This gets me hoping that the eventual ZERO figure from D-Arts will ALSO get the same positive treatment! And I agree with you, bowsersenemy, the figure of Zero SHOULD look like his X2 design and not from X1... although, just the FACT that there will be a D-Arts Zero figure at all is excellent to ME! I will certainly get it anyways because it's ZERO! Super excited for this! If it sells well here and overseas, I hope to see Zero in his X2, X4 & his Zero series form. But let's just start with X and see how it goes.